A north-east sport centre’s survey to help secure a funding application to build three new indoor tennis centres has received more than 100 responses. 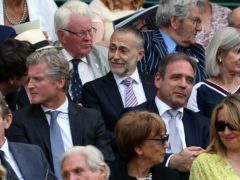 Celebrity chefs were among those watching Centre Court on Wednesday as Serena Williams and Roger Federer continued their Wimbledon campaigns. If Maria Sharapova is to win a third French Open title she seems intent on doing it the hard way. The North-east of Scotland Junior District team have been awarded the Tennis Scotland Team of the Year prize. Tennis ace Judy Murray has congratulated those behind a planned £15 million revamp of a North-east sports centre after it took a big step forward. 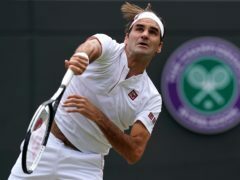 Roger Federer has won a record eighth Wimbledon men’s singles title. The Swiss beat Croatian Marin Cilic in straights sets, 6-3 6-1 6-4 in the final. It now means Federer has 19 Grand Slams to his name. Spain’s Garbine Muguruza has beaten Venus Williams to win the Wimbledon women’s title. Muguruza eased past the American 7-5 6-0 to life the Venus Rosewater Dish at SW19. The North-east were crowned champions at the 43rd Inter-District Championships at Kilgraston School at the Bridge of Earn. Roger Federer won his 18th Grand Slam title after outlasting Rafael Nadal in a classic five-set encounter. Britain’s Australian Open giant-killer Dan Evans caused another shock by beating world number 27 Bernard Tomic to reach the last 16. As sports go, tennis is undoubtedly on the safer side of things. 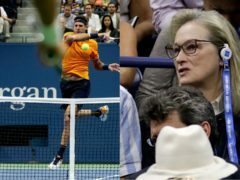 However, that’s not what Martin Klizan found at the Australian Open when opponent Stan Wawrinka smashed a ball right into a place Klizan probably would’ve preferred he didn’t. Judy Murray is coming to coach youngsters at a pair of North-east tennis events. It was an exciting middle Sunday at Wimbledon as Serena Williams and Nick Kyrgios powered through to the next round.